The Samaria Residents' Council recommends a beautiful nature spot on the Itamar Ridge. If you are an experienced hiker looking for a place to hike to – the grassroots Samaria Residents' Council, which promotes tourism in Samaria, has a recommendation for you. It's a natural spring called Bir Adva, on the Itamar Ridge. The site is located next to the community of Itamar, and features a large pool of fresh spring water, surrounded by an orchard of fruit trees and a beautiful scenic view. 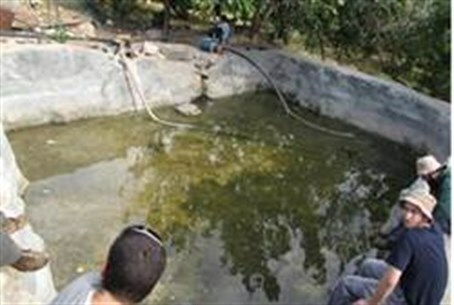 The local Arabs use the water from the pool for their agriculture, but the spring replenishes the water supply. The water is clean and bathing is recommended. In order to reach Bir Adva, you will needs to walk about 200 meters from Hill 777 at Itamar, until one sees a dirt path on the right hand side of the road. Take this path and walk about one mile (1.5 km) until you reach a fork and see the beginning of the wadi. Descend into the wadi until you reach the sring. The walk takes about 90 minutes and the trip is recommended all year round. Hikers need to have armed accompaniment, and to coordinate the hike with security authorities.